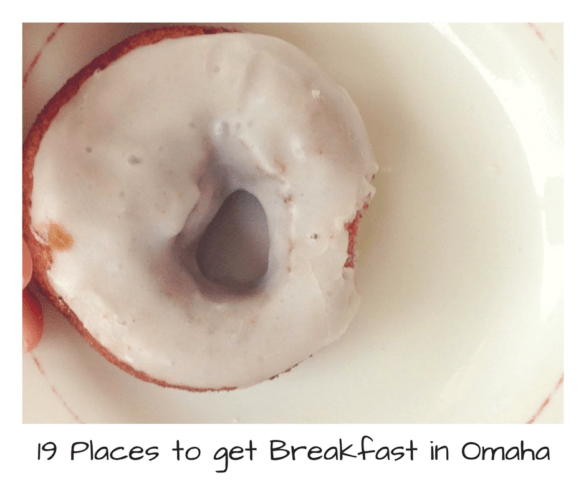 Omaha is a city that loves food. There are a lot of great, locally-owned restaurants producing creative dishes. If you’re short on time and wondering what the must-try restaurants in Omaha are, you’re in luck. I’ve already sought out the answer. Oh My! Omaha Facebook page followers are pretty opinionated about food and loyal to local restaurants. So, I decided to find out what everyone’s must-try restaurant is in Omaha. See the original post here! There’s a reason why there’s nearly always a line at Block 16. It’s that good. I’m partial to the Croque Carcon burger, and not just because Alton Brown deemed it one of the best in the world (though, I do feel like his opinion means something). Jenna says it much more eloquently than I can, but I concur with her. Dante’s is the real deal. Update: Dante now has a fast casual restaurant in the Blackstone District you should check out. “I always recommend The Grey Plume.” Rebecca H.
“Be sure to order the duck fat fries for an appetizer!” – Patty N.
The Grey Plume has one of the most celebrated chefs in Omaha. Dining there is an experience. This one’s better without the kids, FYI. 1415 Farnam St. and 4952 Dodge St. This hip farm-to-table restaurant just opened its second location in Omaha. The downtown location is so Instagrammable, and I bet its new location in Dundee is as well. “For pizza, La Casa.” – Marlys N.
Marlys and I have similar tastes, apparently. La Casa is my all-time favorite pizza in Omaha. The crust. The crust is unforgettable. It’s thin, for sure, so if you don’t like that kind of pizza…you’re out of luck. Look at this list for other great pizza joints in Omaha. Recommended by Christina S. and Brian A. Come hungry. The portions are huge at this wonderful Italian restaurant. My family has been going here for years. This summer, I held a months-long March Madness-style tournament to figure out the best pizzeria in the Omaha metro area. The winner? Mangia. Mangia Italiana beat out 31 other pizzerias to be named the best. See the brackets and who won each round in this post. Omaha has become known for its steaks, but we do venture away from meat from time to time. Modern Love is a vegan restaurant that is top notch, and will impress even the biggest meat eater in your group. It’s seasonally-based, so I’m not sure which dish to recommend (I was impressed with the mac and cheese). Becky W. suggested trying the Thai lavosh, lamb burger or the brie en croute. Also recommended by Diane T. and So Yun G.
M’s Pub is the Old Market darling that suffered a terrible fire, was closed for ages, and is now back open and, from the reviews, as good as ever. I haven’t been back since the fire, but it was a gem before it, so I trust the reviews. “…save room for Ted & Wally’s!” – Ticha R.
I’ve tried them all and Ted & Wally’s remains my favorite ice cream shop in Omaha. A little tip: The Benson location never has a line quite like the Old Market location. If you’re impatient, head to Maple Street. Be sure to download the app Together A Great Good so you can do good while dining out! Some of these restaurants will donate a percentage of your bill to the charity of your choice. Restaurants on this page that contribute (as of January 11, 2018) include: Au Courant, Block 16, Hiro 88, J. Coco, Railcar Modern American Kitchen, and V. Mertz. 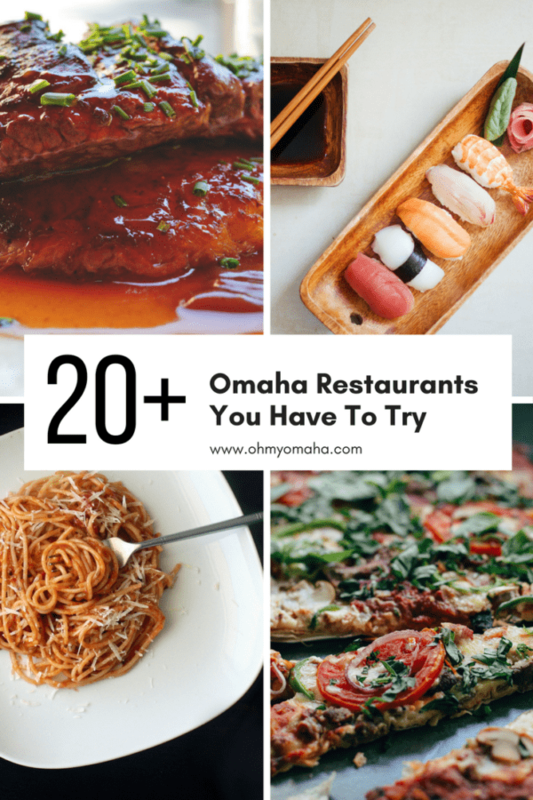 There are a couple old school Omaha steakhouses on this list, and Anthony’s may be the most recognizable on the exterior because of the giant steer on the rooftop. I’ll be honest, it’s not my favorite of the old school steakhouses, but it’s been around for decades, and it has its fans. Recommended by Jordan B. and Adam P.
Au Courant has been on my to-visit list for months and months. I’ve heard rave reviews about this Benson restaurant and I’m determined to visit this year. This is another great old school restaurant in Omaha, though unlike the others on this list, I can say I’ve been here. It looks and feels like a monastery inside, and the wine list is superb. It’s a memorable restaurant to celebrate a special occasion. “Cascio’s, for one of the last remaining ‘Omaha Italian Steakhouse’ experiences.” – Mark W.
I’ve been on a kick visiting some of Omaha’s oldest restaurants, and Cascio’s is on my list to visit. I’ll be honest with you all, I have not had the best experiences at our venerable Italian steakhouses, but they are still running for a reason. 14440 F St. and 640 N. 114th St.
“Cilantro’s – specifically the tomatillo cream sauce chicken enchiladas.” – Abby K.
Cilantros surprised me – I thought it was chain, but it’s not. It’s just more polished than your average local joint. Anyway, I’ve been there. The food is better than average. “Warm up with the “sugar & spice” latte at Crane.” – Ticha R.
Crane’s is a family favorite and locally-run coffee shop without much of the hipster vibe you may encounter at some places (and I like those places – they have great coffee – I just could deal with less of everything else). I like the chai lattes, my husband gets the Crane Special, and the kids always ask for a chocolate chunk scone. “Dinker’s is the best!” – Katie T.
I’ve visited my share of burger places around Omaha to figure out who has the best. I haven’t settled on a verdict, yet, but Dinker’s is right up there. It’s a bit of a hole in the wall, but don’t be scared off by the exterior. It’s popular, been around for more than 50 years, and will likely to be very busy when you go. The Drover is another classic Omaha steakhouse that I have yet to visit. It’s on my list (and actually, at the top of my list). Please note: The restaurant is temporarily closed due to a fire. 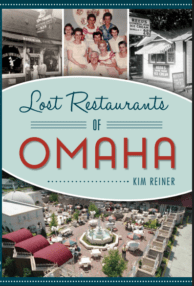 For reviews of Omaha’s oldest restaurants, check out the Old School Omaha Series. “For brunch – Early Bird brunch! Soooo gooood and different!” – Kaila W.
Early Bird is one of the newest restaurants to open in the trendy Blackstone District. I haven’t been, but I’ve had more than one friend tell me that I need to go (they all know I love breakfast). My extended family loves Farmhouse Cafe, and I have to agree, it’s pretty tasty. Be sure to order a cinnamon roll… and be ready to share. I’ll be honest, I haven’t been to this Chinese restaurant. However, I have a foodie friend, Danell, and he is always eating there (here’s his review), so I’ve got to assume it’s pretty good. Hiro 88 doesn’t disappoint with its sushi. Time it to coincide with Happy Hour, and you’ll have a happier wallet, too. This is a newer dining spot in Benson that I haven’t made it to yet, but I’ve heard nothing but good things about it. 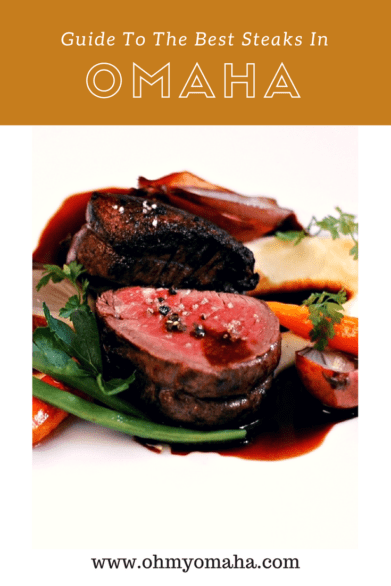 I ventured to J.Coco during Restaurant Week one year and enjoyed the dinner tremendously. This is a good date night spot. 7110 Railroad Ave., Bellevue, Neb. I’m not too familiar with Nettie’s but word on the street, it’s great Mexican food in Bellevue. I’m pretty partial to this tiny Italian restaurant on the edge of the Old Market. The food is so fresh and so good. Reservations are a must, and if the weather is nice, sit out on the patio. This was a nice date night for me and Mr. Wonderful a few years ago. I wish I had a better memory to tell you what order. Though technically a chain fast food restaurant, Runza has its roots here in Nebraska. Go here to try the Runza sandwich. You won’t find it anywhere else in the world. 1122 Howard St. and 13615 California St.
Stokes (the Old Market location on Howard Street) is pretty great. Try Sharon’s enchiladas if you go. Delish! Your turn! 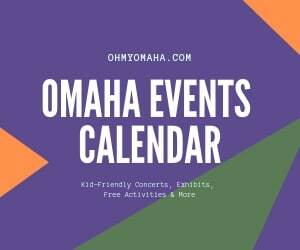 What’s the one restaurant in Omaha that you think every visitor should go to? Very nice, I hope to get to Omaha this year! I hope you do make the trip! This is a good list to start planning some meals. 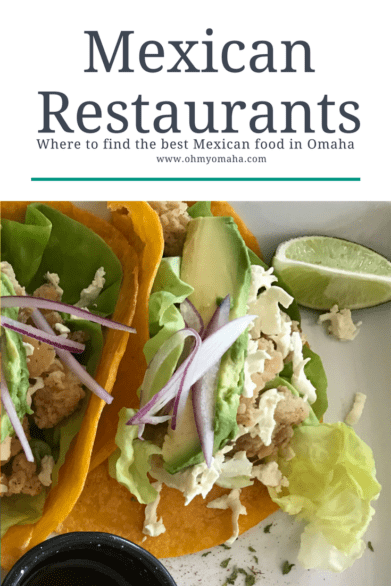 This list has many delicious Omaha spots but I think the single greatest food jewel the city has to offer is Rivera’s Mexican Restaurant off of 120th and Blondo. The chef there is a mastermind and creates the tastiest food I’ve ever had. I recommend the Enchilada Suizas! Thank you for the dish recommendation at Rivera’s, Haley! You’ve piqued my interest, so now I want to try those. I haven’t been to Block 16. I’ll have to try it! We went to a new place in Benson called Ika Ramen. It was so good! I’ve been craving to have it again. I’ve heard great things about Ika Ramen. I haven’t been yet. I can’t get my kids to try ramen, unfortunately.